Happy belated Independence Day to my favorite people on the planet! I wanted you all to know that your comments on How I Became the Eater I Want To Be made me laugh and cry and sit there in absolute amazement for a long, long time. It’s the absolute best feeling in the world being a voice for so many people that can’t find the words. We got back from LA super late Monday night so we still felt pretty wonky yesterday. Jeff and I split a Donato’s pizza with banana peppers and red pepper flakes when we got home from the airport and it was nothing short of magical. 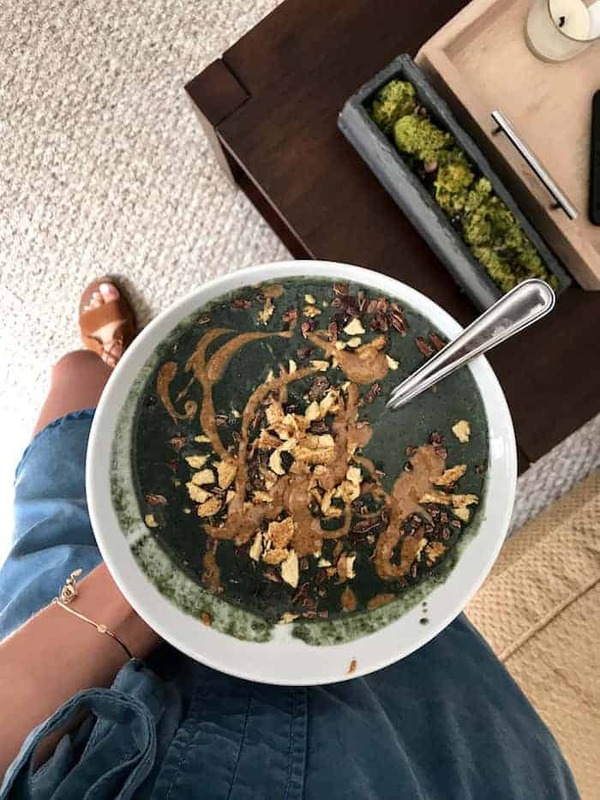 The next morning I woke up craving none other than a hugh jass smoothie bowl. You guys. The Nutribullet Pro is CRAZY. Like, it’s way more powerful than my old Nutribullet. We use that sucker several times daily! Into the blender went frozen wild blueberries, frozen spinach, frozen cauliflower, hemp seeds, chocolate protein powder, spirulina, vanilla extract, cinnamon, and almond milk. I topped it with crushed cinnamon Puffins, cacao nibs, and almond butter. Then I ate a handful more Puffins dipped in almond butter because it’s the best. I bought these insanely comfy Tom’s suede sandals in LA and I’m so glad I did. They made walking around the city all day a breeze! Speaking of LA, I finished The Light We Lost and The Glass Castle on the plane. Both were really enjoyable, but The Light We Lost way my favorite. Highly recommend! 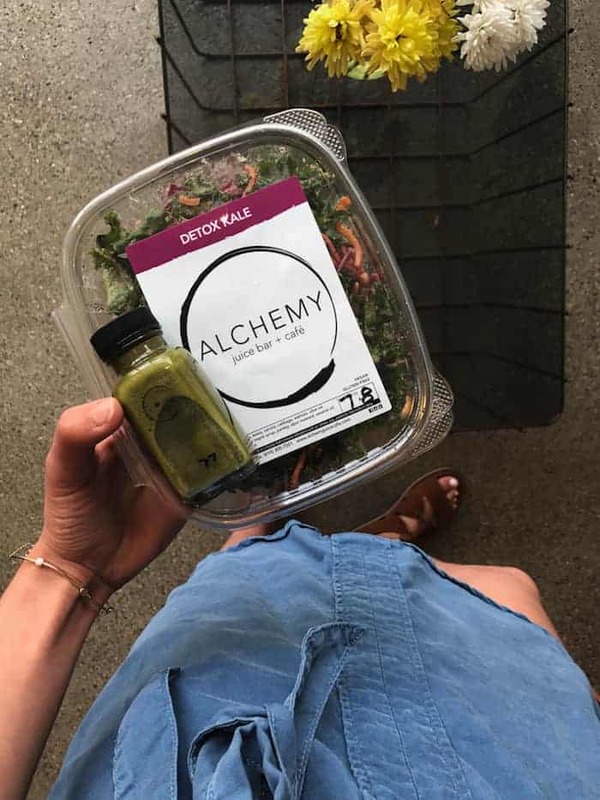 After Alchemy I checked in with the TRISM team. I sampled one of our black bean brownies with pitaya lime frosting plus a handful of organic blueberries from one of our local farmers. Delish! I did a quick 20 minute run at the Fitness Loft before heading home early for the day. I was starving so I whipped up my favorite tuna combo lately. Wild Planet is the bomb and I love that they sell their tuna at Costco in bulk. Into the bowl went a can of tuna, a bunch of Farmhouse Culture classic caraway kraut, vegenaise, whole grain mustard, cucumber, onion, salt, pepper, and garlic. I usually add avocado but we were out. 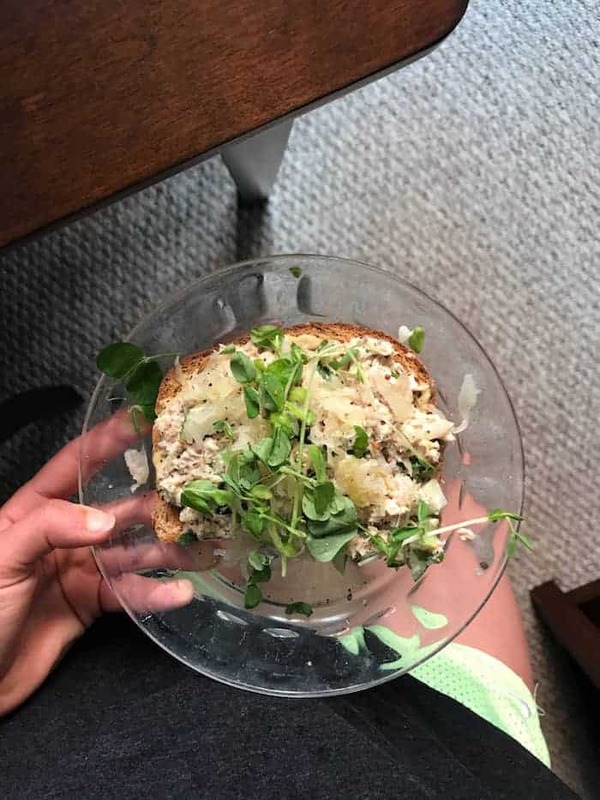 I slathered a piece of bread with plenty of Dijon and some of the tuna on top with extra kraut and micro greens. Amaaaaazing. We wanted to do some kind of indoor “cookout” in honor of the fourth so we made our own little feast! First I whipped up these awesome Speedy Black Bean Burgers from No Excuses Detox. I cooked each burger in avocado oil on the skillet one at a time, and they turned out perfect. I served them on my favorite Angelic Bakehouse buns with ketchup, mustard, pickles, red onion, lettuce, tomato, and an aioli I made with vegenaise, Sriracha, dijon, and honey. On the side we had fresh watermelon and Alexia crispy sweet potato fries. Oh, and a passionfruit La Croix! I couldn’t not have ice cream on the fourth of July, so we stopped at Kroger to grab my old childhood favorite—Breyer’s natural vanilla! I made another batch of Julia’s genius sweet potato fudge brownies to go oh so deliciously with the ice cream. Ah, you and all your photogenic food, making me so hungry! I’m also super happy you’ve been eating intuitively. Great job on fighting those thoughts! 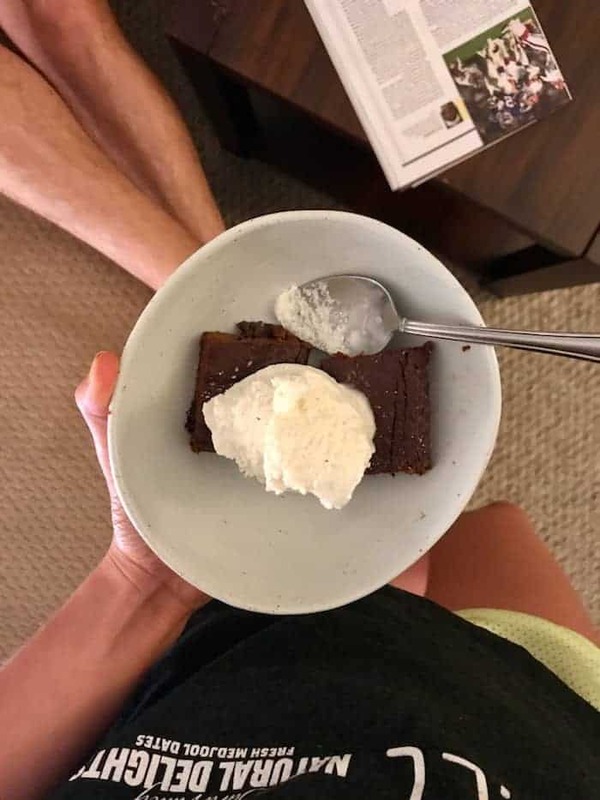 Ah yum, brownies and ice cream are a match made in heaven! Jeff’s quote made me laugh out loud haha. Hope you enjoyed your fourth! Have an awesome rest of your week! OMG. Send me one of those black bean brownies ASAP. I wish trism would come to SF! That brownie sounds delicious! Another awesome post, but I will say, the magic line is definitely the last one – hahaha! Too funny. 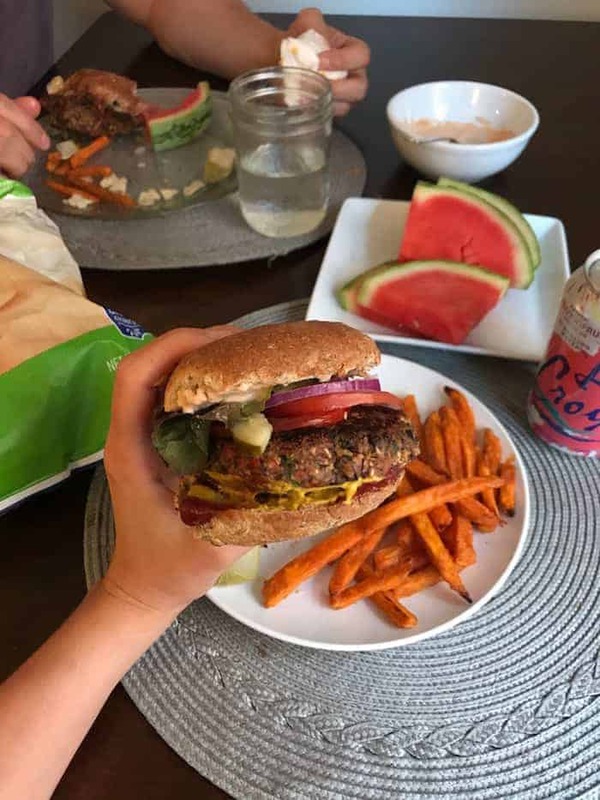 I have literally seen burgers and fries everywhere and I totally want some ASAP! I told the guy I’m running with tomorrow that we’re going on a burger and fries date afterwards because the craving is so real. OMG that pitaya lime frosting is so gorgeous! Such a creative flavor pairing with brownies too. I’m always drooling over your food! 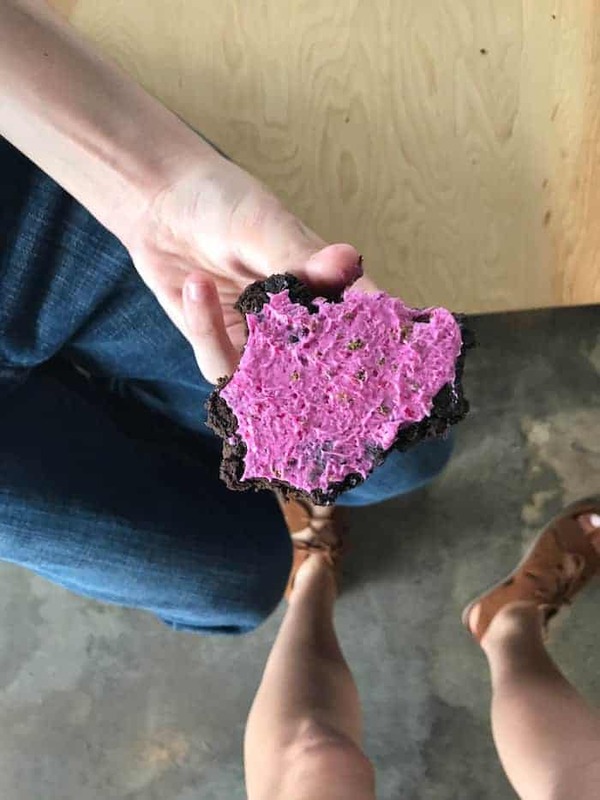 I don’t know what I want to try more – the brownie with pink frosting or the black bean burger! It all looks so good! Jeff’s comment cracked me up!